HOW DOES THIS WORK? This site works very easy, all you do is edit and save the email ads that you want and send it out to all members. This could be about your sites or the affiliate programs that you promote. It doesn't have banner ads or any type of other advertising. Just Email. If you don't want member email ads in your email box - no problem. They are listed on this site too. If you want to buy cheap, bulk advertising so you don't need to click - no problem. There are advertising options to buy here! 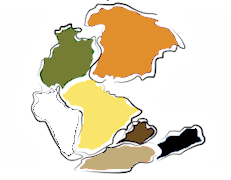 "PANGEA" MEANING Pangea means: Millions of years ago all of the continents were together as one and millions of years into the future they will be one again.